Jupiter’s poles are blanketed by geometric clusters of cyclones and its atmosphere is deeper than scientists suspected. Another of the studies in this week’s journal Nature finds that Jupiter’s crisscrossing east-west jet streams actually penetrate thousands of miles beneath the visible cloud tops. 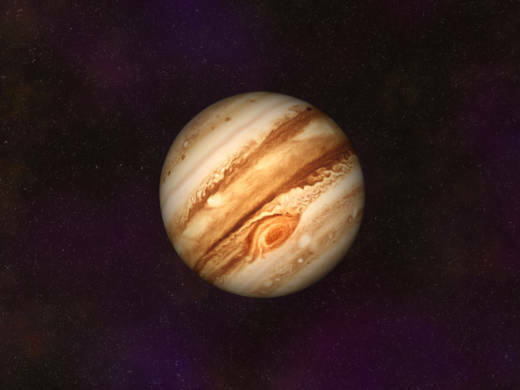 Refined measurements of Jupiter’s uneven gravity field enabled the Weizmann Institute of Science’s Yohai Kaspi in Rehovot, Israel, and his colleagues to calculate the depth of the jet streams at about 3,000 kilometers, or 1,865 miles.